Home Tags Posts tagged with "wrestling"
You’ve probably heard by now that the lovely Renee Young has been promoted to full time commentator status on Monday Night RAW. Personally, I think this is a fabulous move on the part of WWE, Renee is a class act and a true pro when it comes to broadcasting. Adding a woman to commentary is a great move, and there is no better woman for the job than Renee. 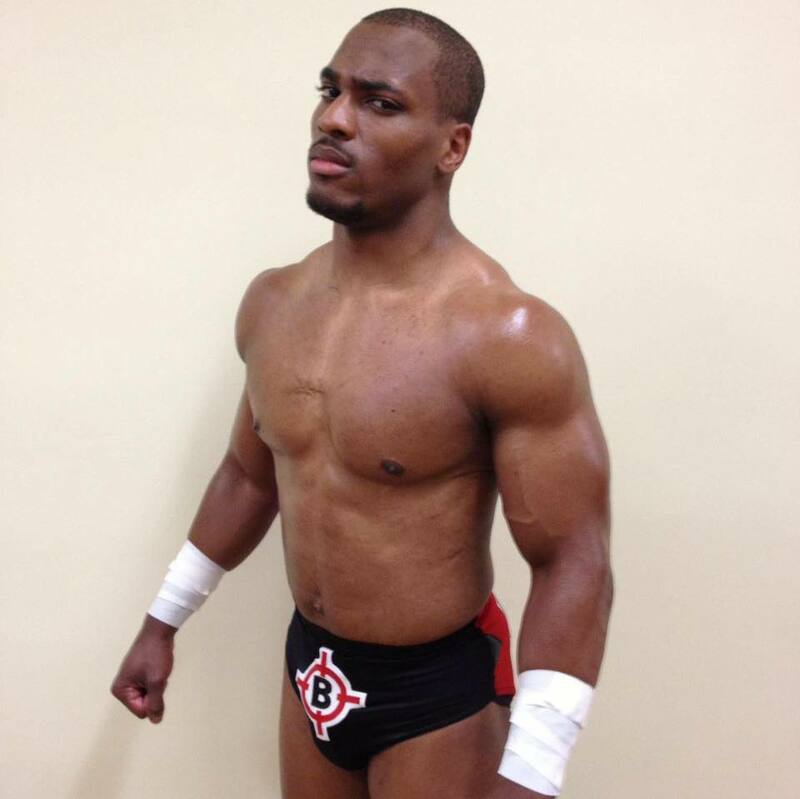 Young had found success even before coming to WWE, with a background in acting and improv, as well as a 3-year-run working for The Score Television Network in Canada from 2009 to 2012. Renee recently alluded to the fact that her 2012 WWE audition tape wasn’t very good. Well, the WWE Network has found and released that tape and I don’t think it’s bad at all! You’ll see in the video, she’s not talking about wrestling AT ALL, which I thought was odd and kind of funny. Instead, she was given a product to promote on camera. The little device she is holding in the video is for pet grooming. She talks about all of the features the device has and how it works on grooming your pet(s), even err, fish? Check it out for yourself! And then there was one… Sad news in the wrestling world once again today, as we learn Jim ‘The Anvil’ Neidhart has passed away at the age of 63. Looking back at the Hart Foundation from the Attitude Era, only one person remains, Bret ‘The Hitman’ Hart is now the only surviving member. Over the years, we’ve sadly lost Owen, The British Bulldog, Brian Pillman and now The Anvil. TMZ has reported that Neidhart got out of bed to change the thermostat, when he did his body made a weird turn, then he fell towards the wall, hitting his head and landing on the ground. Neidhart had a history of suffering from seizures, which he took medication for. His wife Ellie called 911 after the fall, thinking he was having a seizure. When emergency staff arrived at Neidhart’s home, they found a 4-inch gash on his forehead, he succumbed to his injuries shortly after. I can’t put into words how hard it is going to be for myself and our family to have to say goodbye to my dad. He meant the world to us, and nothing will ever replace the special times we shared together as a family. My dad was always a fighter and an incredibly special person. There was no one like him! I’m just gonna miss him so much. We are going to hold all of the moments we had with him close to our hearts forever and never let them go. I promise to keep your memory alive. We love you so much, Daddy! On behalf of my entire family, we would also like to personally thank everyone for the outpouring of thoughts and prayers. It’s meant so much to us. The Deadman himself recently took in a Harlem Globetrotters game and get this, even participated! Hey, he’s certainly got the height for it! His wife, Michelle McCool confirmed on her Instagram page. ‘Taker is also on Instagram, but having just joined this past May, he isn’t as active as his better half on the social media website. Ric Flair is no stranger to the operating room lately. He underwent a life-saving procedure in 2017 and had a related follow up procedure today, according to Pro Wrestling Sheet. Flair had checked himself into a Georgia hospital last August for what he thought were just stomach pains. Unfortunately, it ended up being much worse. What he was actually experiencing were both kidney and heart failure, due to years of alcohol abuse. During that hospital stay, he had part of his bowel removed, as well as an intestinal blockage in addition to having a pacemaker installed. The Nature Boy was in a medically induced coma for ten days, and given only a 20% chance of waking up. Thankfully he did, and has been on the mend ever since. Today’s procedure was to reverse an ileostomy and we can all let out a “woo!” of relief, because it went well and he is recovering nicely. Thank you for the prayers and messages 🙏🏻 Dad is doing GREAT!! It’s a sad day in the wrestling world as we learn of the passing of Matt Cappotelli. Matt was the co-winner of Tough Enough 3 along with John Hennigan (FKA John Morrison) back in 2003. Cappotelli had some TV time in WWE, as well as a longer stint and a championship reign in Ohio Valley Wrestling. Unfortunately, his wrestling career was short-lived, once it was discovered he had a brain tumor. Cappotelli’s OVW championship was surrendered in February of 2006 and he underwent surgery to remove 90% of the brain tumor in 2007. In a heartbreaking turn of events, the brain tumor returned 10 years later in 2017, this time in a larger, more aggressive form. Matt Cappotelli was just 38 years old. Rest in peace. In November of 2016, White was diagnosed with congestive heart failure and given two years to live. He then underwent open-heart surgery this past March and seemed to be on the mend, but instead his health further declined and he wasn’t able to recover. Vader was probably best known for his time spent in the WWF/E in the 90’s and again with various stints throughout the 2000’s. White began his career as a pro football player, but was forced into early retirement from the sport due to an injury. The ‘Big Van Vader’ name was born when he signed on with New Japan Pro Wrestling. His rise to fame began there and over the years, White later joined the ranks of WCW, WWF/E, AJPW, TNA, as well as various other promotions around the world. WWE’s Chief Brand Officer Stephanie McMahon undertakes a new role when she goes incognito for CBS’s “Undercover Boss: Celebrity Boss Edition”. WWE’s leading lady will appear on the show’s episode airing on Friday, June 15th, 8/7 C on CBS. Photos of her disguise, which includes a short blonde wig, have been posted on the internet. See if Stephanie fools any of her employees with her new “look”. For more details, check out WWE.com, and follow Undercover Boss on Twitter, @undercover_CBS. Brief Career Synopsis: Involved in the wrestling business for 19 years. Wrestling for 15 years. Trained by Jason Knight (ECW). Opportunities with WWE, Impact Wrestling, Ring Of Honor, New Japan Pro Wrestling, Evolve. 1. What led you to a career in wrestling? 2. What was your very first match like? My first match was a gauntlet match for a promotion called ‘Assault Championship Wrestling’. I was in the ring for only 2 minutes. 3. Who has been your favorite wrestler to work with so far? Jay Freddie has been one of my favorite opponents. He has always tested me every time we have been in the ring. 4. What about a ‘bucket list’ wrestler, anyone you’d love to work with but haven’t had the opportunity to yet? Caprice Coleman, Marty Scrull, Will Ospreay, Keith Lee, Sami Callihan, Kenny King, Rey Mysterio, Jay Lethal, Shane Strickland, Cody Rhodes, Pentagon Jr, Bad Bones John Klinger, Rich Swann, Pete Dunne, Doug Williams, Tanahashi. 5. 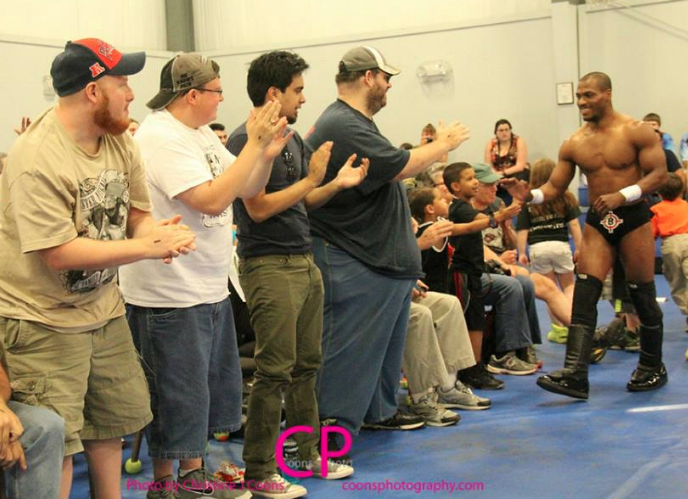 What is your favorite part about being involved in the wrestling business? What is your least favorite part? Being able see the places I never thought I’d be able to see, and meeting people I never thought I would have met before. My least favorite part is wrestling hurts…but it’s what I signed up for and I’m loving everything. 6. What makes you unique, what do you do to stand out from other workers in your area or in general? The era I was brought up in. I was around in 1999-2000… the wrestling business, style, and mentality was very different compared to now. 7. What is your gimmick/character and how did you come up with it? I’m not a character, I’m just me. What you see is what you get as they say. However, some have made references to my style of that being a Chris Benoit, or a ‘Macho Man’ Randy Savage. 8. Who are your mentors? Who has influenced your career the most? I look at my mentors as everyone that has come before me and been able to provide feedback on my wrestling and presence in the ring. 9. What are your long-term goals for your career, where do you see yourself in 10 years? I hope to be signed by that time and hopefully seeing those I have shared a ring with or a moment with, in the same company with me or signed to another company. 10. 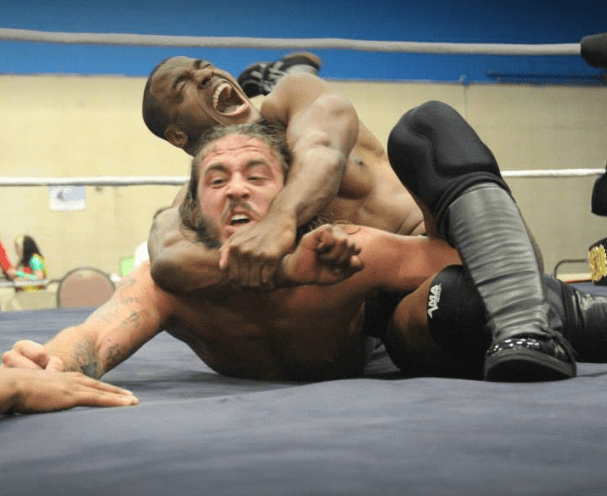 What advice would you give to up and comers trying to break into the wrestling business? Find a good reputable school, one that has produced wrestlers that have received opportunities on a bigger stage. Former WCW President and former RAW GM, Eric Bischoff, has made a memory for a fan that she won’t soon forget! Bischoff met a fan named Amanda at a recent autograph signing. She told him about the bond she’d created with her dad by watching WCW Monday Nitro together. Her father has since passed away, so she asked Bischoff if he would accept the honor of walking her down the aisle in place of her dad at her wedding. He of course, said yes. Amanda made him a special hat to wear for the occasion, a black NWO hat embroidered with the words: “Thank you for letting my dad tag you in”. After 6 years together, WWE power couple Nikki Bella and John Cena have ended their relationship. Best wishes to both John Cena and Nikki Bella during this difficult time.